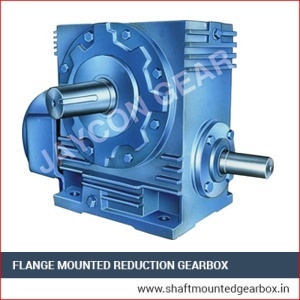 We are the top Flange Mounted Reduction Gearbox supplier of India. We manufacture them with premium quality raw material and modern technology as per the norms of the industry. 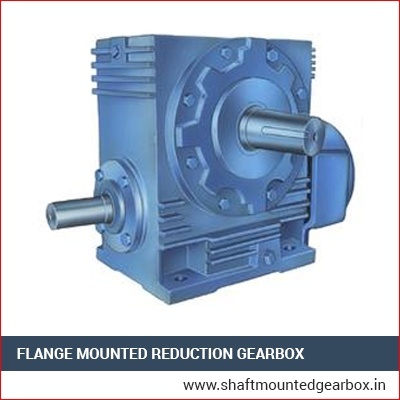 Our gearboxes are recognized for their sturdy structure, enhanced effectiveness, high flexibility, compact, long-lasting life span and reliability. These accomplish an extensive array of output RPM and horse power necessities. These are specially designed and fabricated for heavy load works and power transmission with cutting-edge technology. These can handle several problems such as leak, heating, worm damage, shaft bending and decreased effectiveness. It consumes power minimally and offers high torque. They need least maintenance. Our products are quality tested and verified hence offer effective and durable performance. 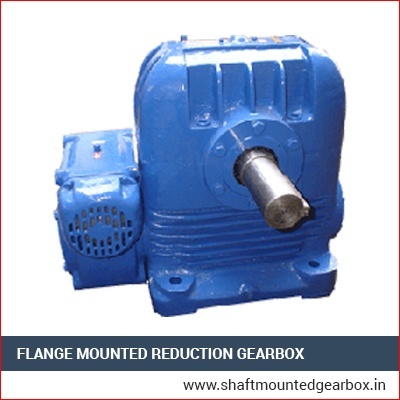 We offer our Flange Mounted Reduction Gearbox at very reasonable rates.